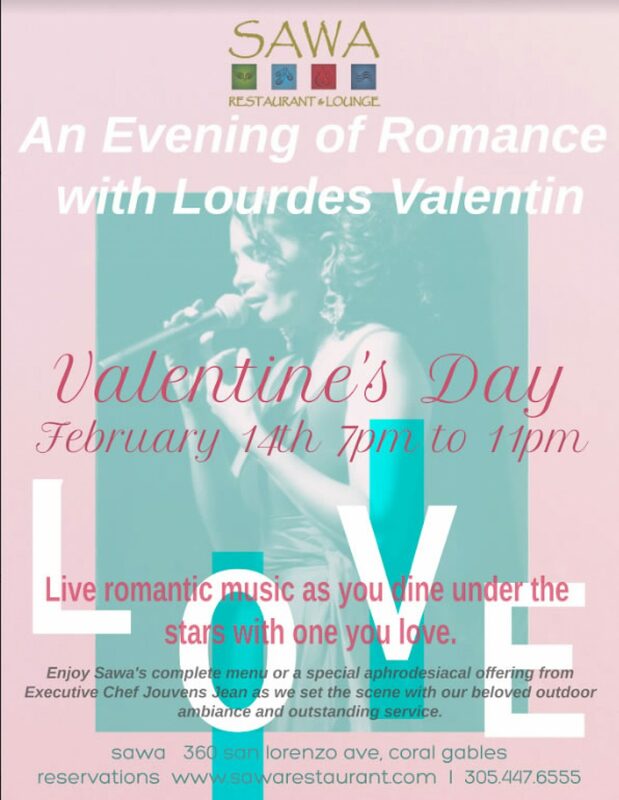 Sawa presents a dreamy al-fresco Valentine’s Dinner with Live Romantic Songs by Lourdes Valentin on February 14th from 7pm to 11pm. Ms. Valentin will be softly serenading guests live as they dine under the stars with romantic classics in English, Spanish, and Portuguese. 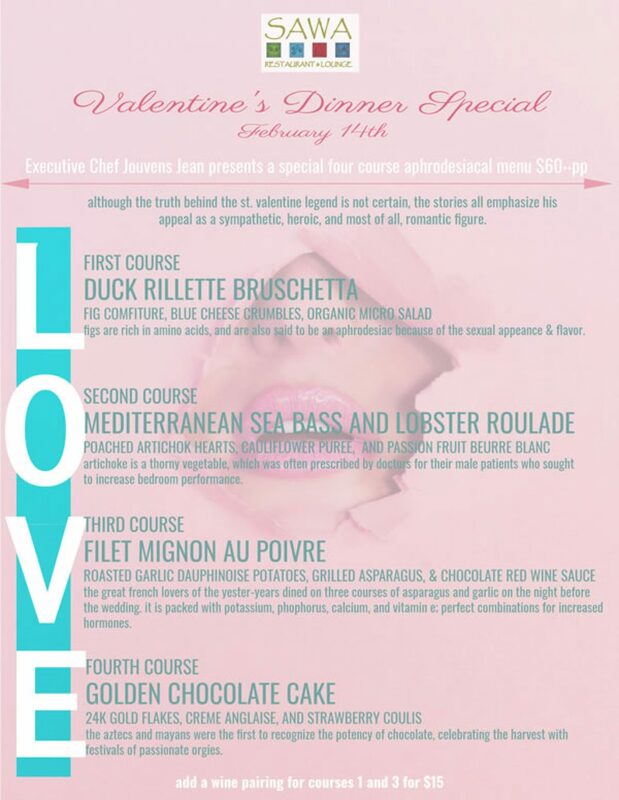 Sawa’s complete dinner menu will be offered along with Chef Curated Specials running all weekend. Inner-Garden seating will be offered for two time slots: the first at 7pm and the second at 9pm and will require a credit card to be held on file to guarantee the seats. The credit card given to hold this reservation will not be charged up front, but rather held on file and will only be charged $50 per person upon a no-show/no-cancel, or late cancellation after the 24 hour mark. Outer garden seats and indoor seats will be given on a walk-in basis.